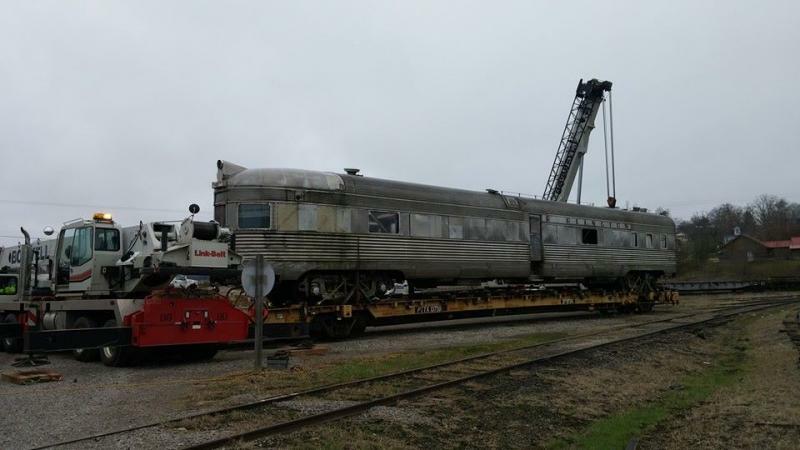 1-31-2016: On December 31, 2015 Batavia & Ohio Railway Services oversaw the unloading of the Silver Fountain in Sterns, Kentucky at Crossroads Railcar Services shop complex. The Silver Fountain is currently being restored by Crossroads Railcar Services for future service on the Cincinnati Dinner Train. Besides unloading the car, Batavia & Ohio Railway Services also cooridnated the loading and shipment of the Silver Fountain. Mechanical Inspections (locomotives and all types of rolling stock). Locomotive and Passenger Car servicing and maintenance. Restoration and re-building of railway passenger equipment. Certified COT&S and Single car testing in accordance with 49 CFR parts 232.203 and 238. Certified Track inspections per 49 CFR, Part 213. Short Line and Industrial railroad operations. Contract train crews and mechanics. For more information on the services please click here or go to our services page.